The Humpty Doo Rice Project was inspired by grand visions of taming a new frontier, settling northern Australia and supplying rice to Asia. But this vision was swept away by an unfamiliar environment that would not support the farming methods and machinery of America. Magpie Geese were blamed for ruining the grand vision, but the Humpty Doo Rice Trail reveals other culprits. The Audio features audio recordings of people involved with the project, historical narration and opinions from local historians. A written account of the Rice Project from its inception to its final end. Why did the Humpty Doo Rice Project really fail? A self drive journey complete with GPS navigation guiding you to highlights of the Rice Project between Darwin and the Middle Point area. Due to the unreliable nature of mobile internet in the outer Darwin region, we recommend downloading and installing an app before you depart. The apps are free and ensure a more reliable experience of the Rice Trail. The Audio is released under the creative commons license. We encourage the use and distribution of the audio as you like. We'd love to know how it is used so please contact us at www.foggdamfriends.org. Interviews and information about key areas outlined in the drivers guide. Before you begin: You may experience slow mobile internet speeds at some of the locations on the trail. We highly recommend preloading the audio before you begin. 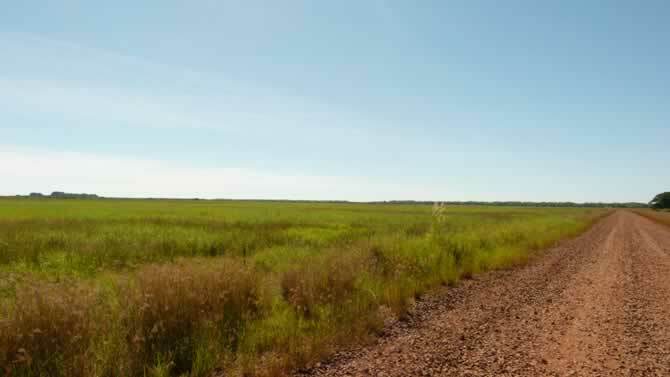 The Humpty Doo Rice Trail takes you some 70 kilometres from Darwin's port to the Adelaide River coastal plain and internationally renowned Fogg Dam ConservationReserve. It allows you to see key locations of the historic Humpty Doo Rice Project and to consider its vision and rationale. (Each of the items below has its own web page including audio and photos where possible. For more detailed information on the project, please refer to "The Humpty Doo Rice Trail" booklet at www.foggdamfriends.org. The story begins in 1953 with two men at a party in Hollywood, Los Angeles, and ends in 1964 with one man milling rice near Darwin. The two men were Harold Holt, later to become Prime Minister of Australia, and American entrepreneur Allen Chase. The 1947 census indicates Darwin's population was just 2,538. That number did not include Aboriginal people, who were not recognised as citizens. They had no rights to land or say in the use of their traditional lands. Learning from WW2 and with concerns at the communist push through eastern Asia, the Australian government wanted to populate north. It believed Asia would need rice to feed its growing population, knew rice had been grown successfully in northern Australia in the late 1800s and had established rice research stations at Kununurra in Western Australia and south east of Darwin. The proposed rice growing areas were the sub-coastal plains of rivers to the east of Darwin where average annual rainfall was over 1300 mm. After meeting Holt in 1953, Chase visited the sub-coastal plains and was impressed. He said "This is exactly like the Nile Valley, only it is twice as good!" He formed a syndicate from his friends and associates to pioneer rice growing in the area. The Chase syndicate included TV star Art Linkletter, movie actor Robert Cummings, radio actor Charles Correll, Signal Oil's Samuel B. Mosher and American President Lines Chairman Ralph Davies. "The monsoon floods could be controlled to provide the right amount of water for rice cultivation, the land is so level and rich (11ft. topsoil in some spots) that it could be prepared for as little as $100 per acre, while four deep-running rivers in the area provide inexpensive transportation to the sea coast." In November 1955, together with Australia's first merchant Bank, Mainguard (Australia) Limited, the investment vehicle Territory Rice Limited (TRL) was incorporated in Sydney. 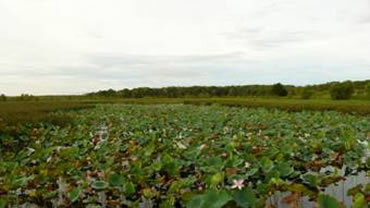 The company received agricultural leases on 303,000 hectares of the sub-coastal plains of the Adelaide, Mary, Wildman, West, South and East Alligator rivers for growing rice, ie from the Adelaide River to Arnhem Land. Townapull Crane supplied by the RAAF. Development commenced on the most accessible land, on Humpty Doo Station on the western side of the Adelaide River. 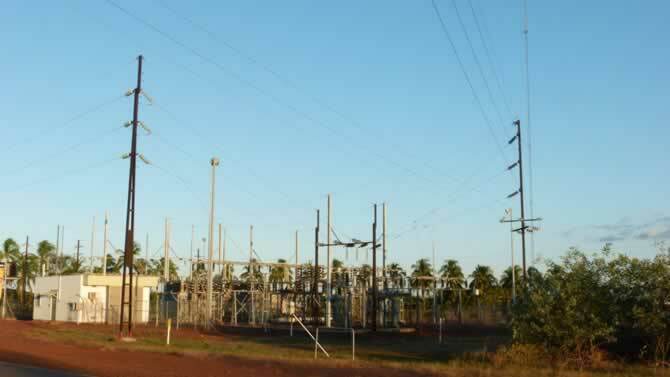 Just 60 km south east of Darwin, this was, in reality, an isolated area with no made road, telephone line or power supply. The Humpty Doo rice growing area was previously used for cattle. At the time of the Rice Project no one gave a thought to consulting the Limilngan-Wulna Aboriginal people, the traditional owners, who have lived off the land in this area for thousands of generations. They were involved in early pastoral enterprises, but not significantly in the rice farming. 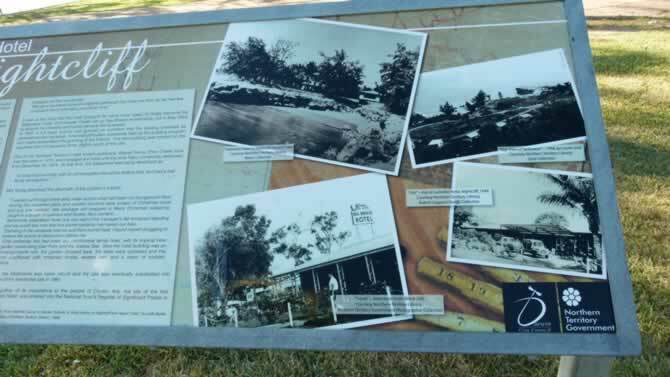 TRL obtained equipment, prepared roads, developed irrigation channels, established a workers village, rice fields, a rice mill at Coolalinga, pumping stations, an airfield and Harrison Dam. Government built a power line from Darwin for the project and other supporting infrastructure and established rice fields to research rice varieties and growing techniques. The Royal Australian Airforce's Airfield Construction Squadron built Fogg Dam. TRL was struggling financially from the beginning and rice farming was proving more difficult than had been anticipated. Budgets were cut and in 1958 Mainguard was liquidated. Robert McCulloch, a wealthy American, took control but withdrew in 1960 when TRL, too, was liquidated with large debts. The new owners photographed together in 1960. Four men who had worked for TRL, Don Buck, Arthur Parker, Bob Parker and Ted Kilpatrick formed Rice Development Pty Ltd. 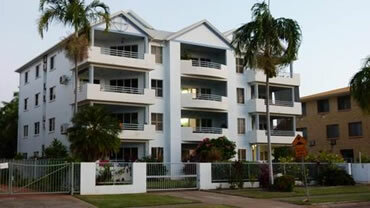 They had the benefit of experience, if not great financial resources. They gained access to the TRL equipment, accepted a one year at a time land lease and took responsibility for all expenses, profit or loss. The four did better with the rice growing, but lacked the support that Territory Rice had received from the Government. In 1964, needing to borrow heavily to re-equip they decided to cease operation. Although a commercial failure, the project's legacy has been significant. It led to the population growth the government desired and left roads and a power supply that have been used by others to develop the Middle Point area including farms and tourism eg Fogg Dam and Harrison Dam Conservation Reserves, Windows on the Wetlands visitor centre, the NT government's Beatrice Hill and Coastal Plains research farms, private horticulture, a barramundi fish farm, the Australian government radio transmitting station, jumping crocodile and river cruises. Visited by more than 100,000 people a year, Fogg Dam Conservation Reserve is internationally renowned for its diversity of habitat, its year round accessibility and for having the world's greatest predator biomass. In 1964 Rice Development Pty Ltd ceased operations despite improved rice yields. 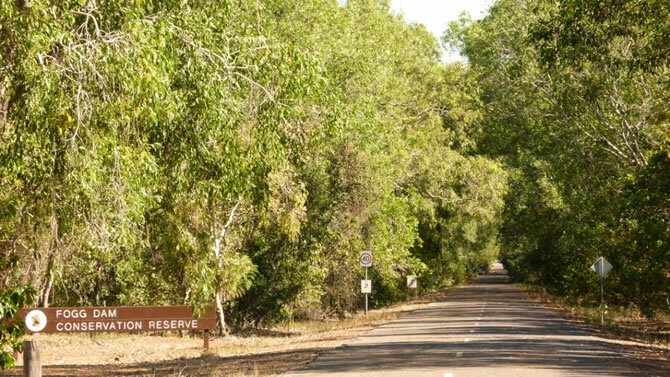 The Humpty Doo Rice trail drivers guide takes you some 70 kilometres from Darwin's port to the Adelaide River coastal plain and internationally renowned Fogg Dam Conservation Reserve. It allows you to see key locations of the historic Humpty Doo Rice Project and to consider its vision and rationale. Most locations display a GPS coordinate link that can be displayed in navigation and map applications on most smart phones with GPS turned on. On your journey along the trail you will find signage at some locations that links in to the text of the audio drivers' guide. Please be respectful of locations noted as private property and view these areas from the road where possible. While most remnants of the Humpty Doo Rice Project of 1954-64 are outside Darwin city, the project made use of the Port of Darwin and the suburb of Nightcliff maintain links to the project. The Port of Darwin is best seen from the viewing platform on the Esplanade beside Government House. The port was used to import machinery and export rice. Rice and other bulk and bagged products were loaded onto ships at Fort Hill wharf. The port today is vastly different to its appearance in the 1950-60 era. Then, the Fort Hill jetty was of short length and close to land. Its larger replacement is now regularly used by cruise liners. The Stokes Hill jetty is now a popular tourist precinct that includes restaurants and cafes. 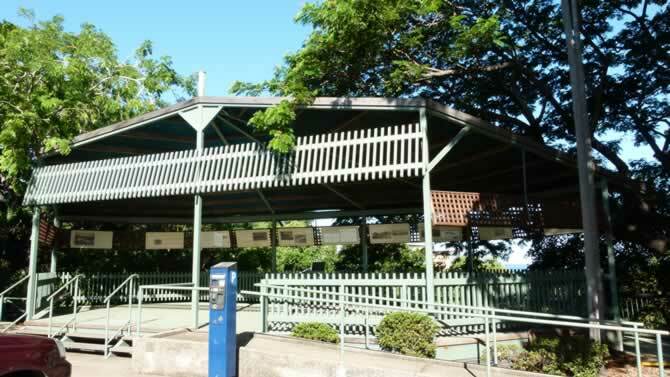 Opposite the public swimming pool on Casuarina Drive, Nightcliff was where Territory Rice Limited's manager John Beams lived in a modest elevated house. 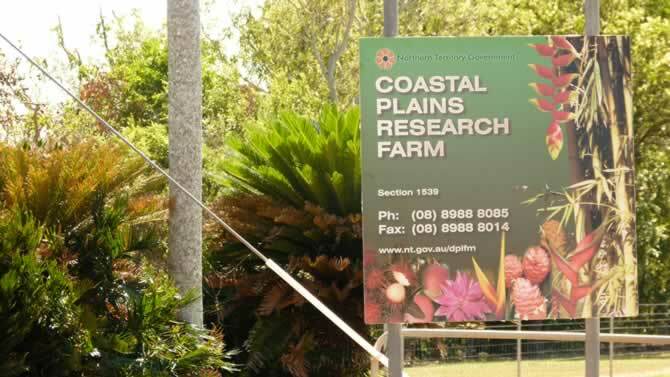 Negotiations for Rice Development Pty Ltd to take control of the rice project took place at the site of the former Seabreeze Hotel, on Casuarina Drive near the Nightcliff jetty in June 1958. 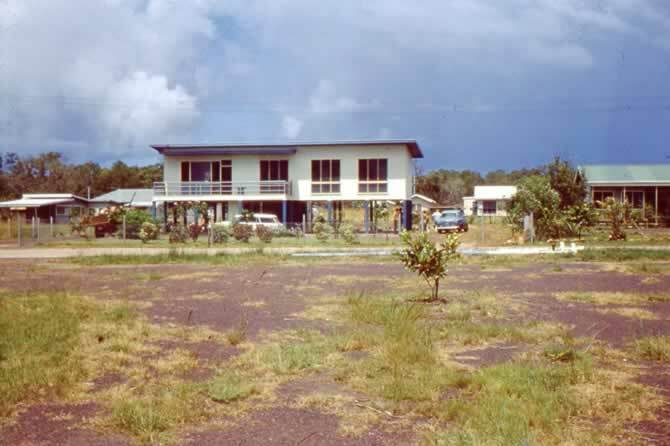 Nightcliff was devastated by Cyclone Tracey at Christmas 1974 and both the house and hotel were destroyed. Of interest, even though American TV star and Territory Rice Director Art Linkletter didn't own property in Darwin, in the Smithsonian Institute in Washington DC there is a painting by Joseph E Joakum entitled Art Linkletter's Ranch in Darwin. At 5 Menmuir Street Winnellie, the property of SG Kennon & Co, there is a large water pump that was purchased overseas for the rice project, apparently by Art Linkletter, but forfeited as Territory Rice could not afford the customs duty. 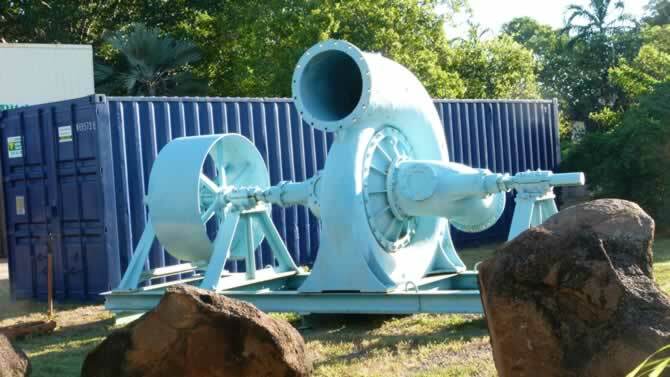 Kennons supplied equipment to and did contract work for Territory Rice, including installation of the main water pump and sluice gate on the Adelaide River.. Stan Kennon, the founder of Kennons, had been involved in salvage after World War 2. It is not surprising he acquired the pump when it became available at auction. 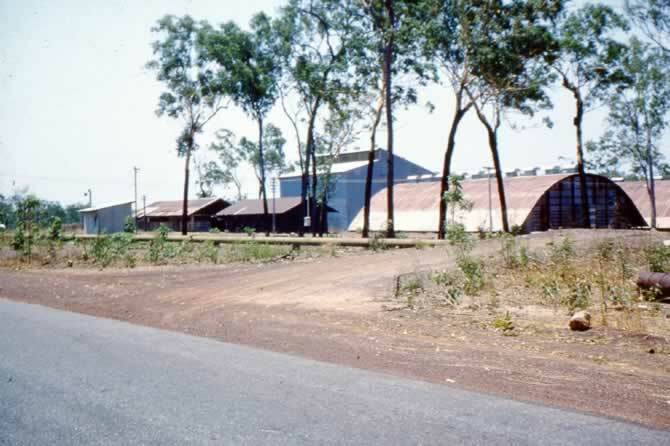 At Coolalinga on the Stuart Highway, 28 km from Darwin, the rice mill building remains on private land. This can be seen from the access road to the shops on the north side of the highway. Originally part of the Number 10 Allied Works Corps complex in World War 2, the higher building was transformed into a 'state of the art' rice mill in 1957, a leading rice mill expert. It operated until 1966. The curved roof building was used to dry the rice. Milled rice was exported through both the Port of Darwin and from the main pump station site on the Adelaide River. Was where rice farmer Bob Parker started clearing vegetation with a bulldozer to form a 30 km dirt track from the Stuart Highway to the Territory Rice Limited village and the Adelaide River. Known as the Humpty Doo Road, this provided access to the rice project from Darwin. 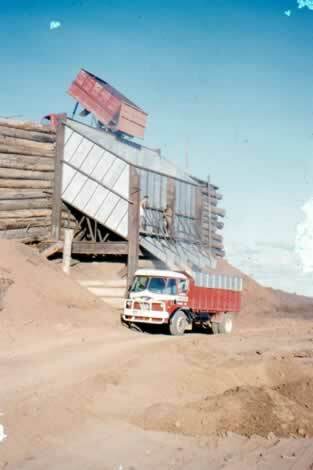 Construction of the Arnhem Highway, a major upgrade of the Humpty Doo road, began in 1966-67 to provide access to a small iron ore mine at Mount Bundey, east of the Adelaide River. 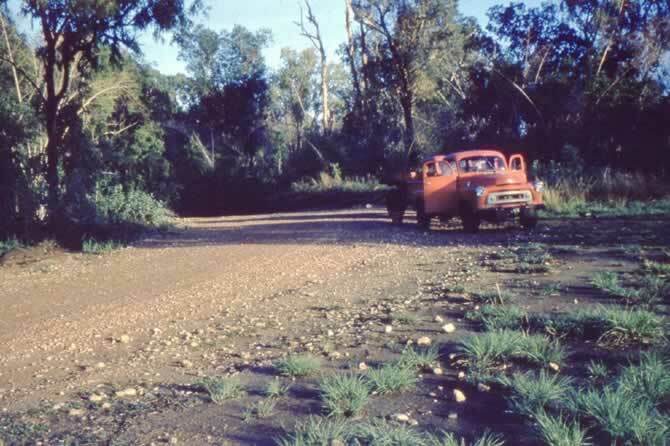 The highway was extended in the early 1970s to support mineral exploration and future mining around Jabiru, in what later became Kakadu National Park. 20km along the Highway on the right is the entrance to Humpty Doo cattle station. 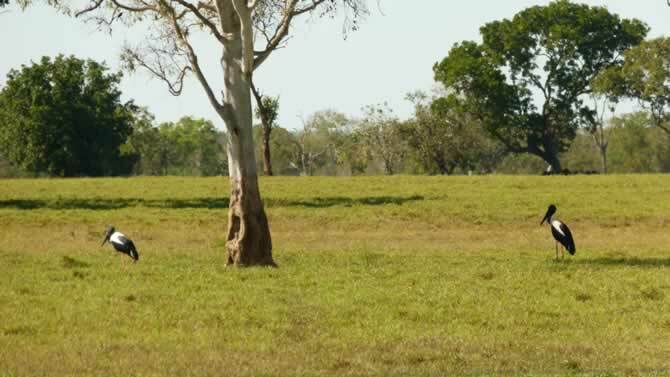 The rice project was situated on Humpty Doo and Koolpinyah cattle station land, then both owned by the Herbert brothers, Evan and Oscar, who were sons of a former Administrator of the Northern Territory, Charles Herbert. Both stations were given the names that the Aboriginal people used for the areas. 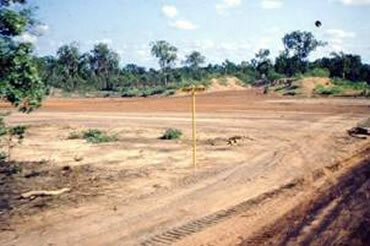 Humpty Doo station is now owned by the Kenyon family, some of the area's Aboriginal Traditional Owners. 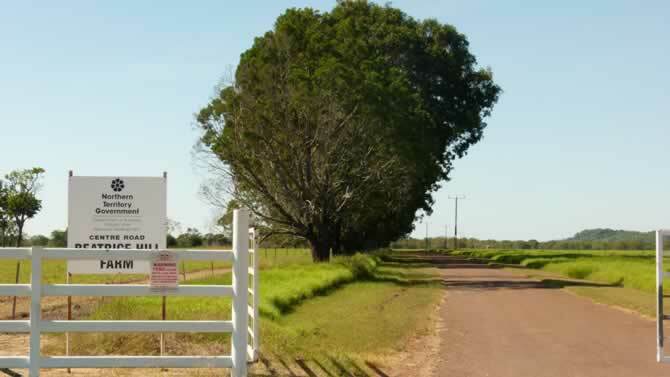 Territory Rice Limited's 1954 rice growing trials were located between the Humpty Doo station homestead and the TRL village on what is now Thomsen Road. 21km along the Highway on the right is an electrical sub-station that was used to distribute electricity generated in Darwin to TRL's water pumps, village and government'research centres. In 1966 government installed a new 2kV electricity feeder line to upgrade supply to the Humpty Doo rice project area and Stan Kennon's pink granite quarry at Mount Bundey. 25km along the Arnhem Highway at the corner of Anzac Parade (on the left), Territory Rice intended to build a substantial airfield to replace the small Kemp airstrip it had built 8 kilometres along Anzac Parade. The land is now the Humpty Doo radio transmitting station of the Department of Defence, established after Cyclone Tracey destroyed much of the Royal Australian Navy's transmitting station at Shoal Bay near Darwin. The site now also services the Air Force. Anzac Parade, so named because construction commenced on Anzac Day, 25 April, 1956, was built by the Royal Australian Air Force's No. 5 Airfield Construction Squadron under the command of Squadron Leader (later Wing Commander) Arthur Harrison. It extended approximately 15 km from TRL's village south of the Arnhem Highway to a pumping station at Middle Point on the Adelaide River. Bob Parker cleared the bush for road construction, as he did for the building the Humpty Doo Road/Arnhem Highway. 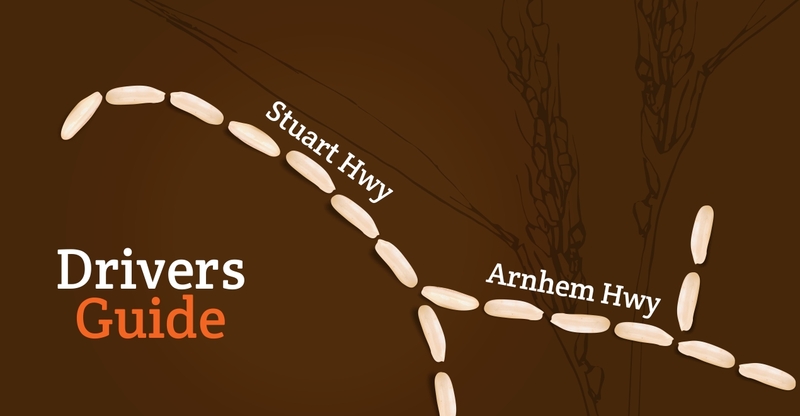 After the commercial rice project ended, the Thomsen family acquired the Territory Rice Village and Anzac Parade south of the Arnhem Highway was re-named Thomsen Road. 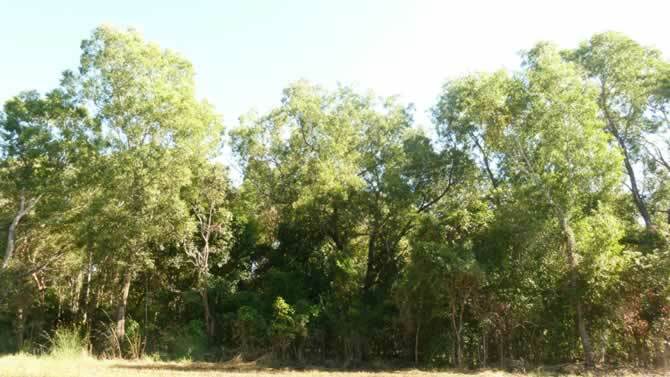 For the duration of the rice project, with the exception of access tracks and roads, the land along Anzac Parade was forested bushland. 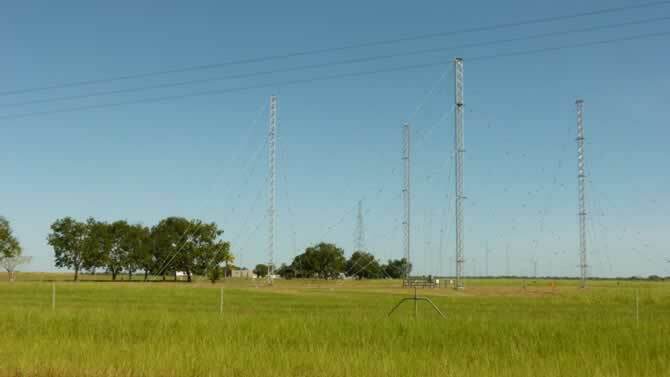 Opposite the government's Humpty Doo radio transmitting station is the Northern Territory government's Beatrice Hill Farm for cattle and buffalo research. Centre Road, the entrance to Beatrice Hill Farm, ran through the Centre of the rice project. It was originally named Hill Road as it provided access to Beatrice Hill where the government conducted rice growing trials and the Commonwealth Scientific and Industrial Research Organisation's (CSIRO) established its operations base. A bridge along Centre Road is named Olympic Bridge. 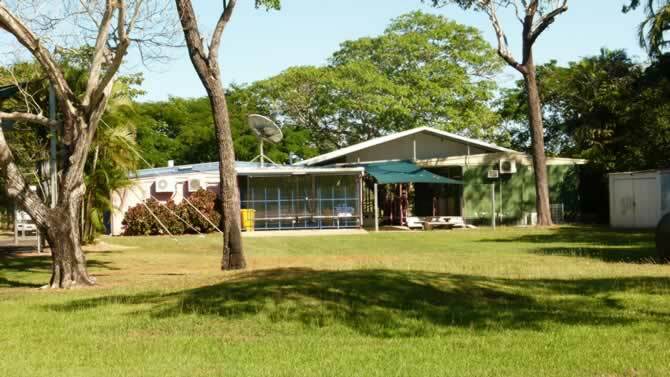 The Northern Territory government's Coastal Plains Research Farm is on the left past the radio base. It is a horticultural and forestry research centre. 4 kilometres along Anzac Parade on the right, leads to Harrison Dam and the coastal plains where Territory Rice Limited had its main rice fields. Harrison Dam was built in 1958 and named after Squadron Leader Arthur Harrison. 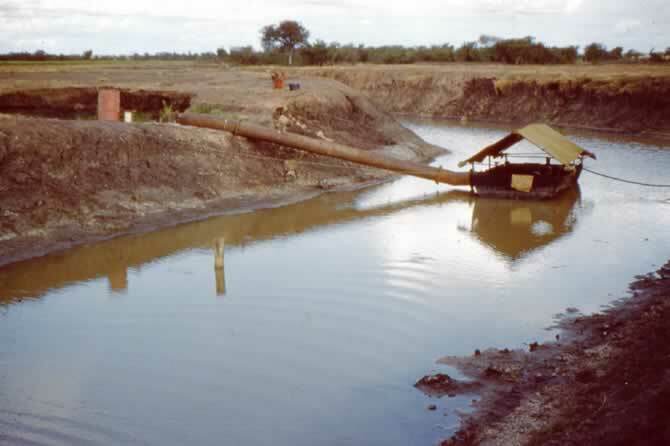 With just a small catchment the dam was to be filled with water pumped from the Adelaide River. 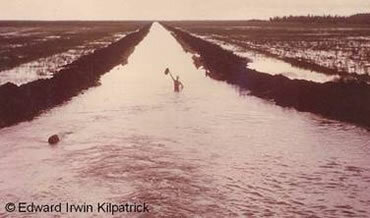 Due to pumping problems the dam contributed little to the irrigation of the rice. Climb to the top of the wall to see the dam and TRL's main rice fields on the flood plain. 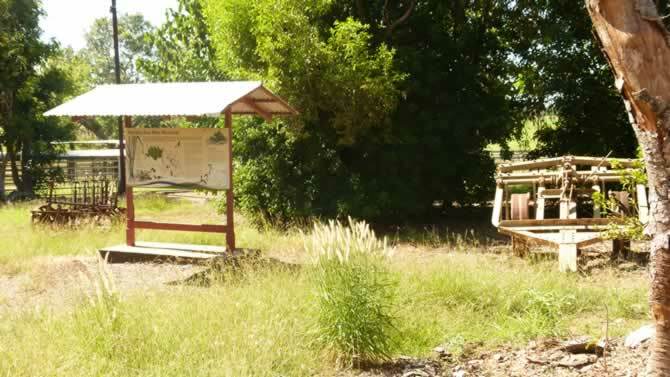 The remains of a bin used for hold freshly harvested rice for transfer to the Coolalinga mill can be seen on the right, at the entrance of the Conservation Reserve. Remnants of two pumping stations can be found on the floodplain. Do not try to find these in the wet season, when ground conditions can be treacherous. Although a popular location for bird watchers, the NT government allows the hunting of magpie geese and ducks at Harrison Dam Conservation Reserve, usually from September to January each year. Past Wood Lane on the right hand side of Anzac Parade there are now several small tropical fruit orchards and a crocodile farm that were established in the late 1970s. The rice project took gravel from some of these properties for road building. On the left, 6km along Anzac Parade from the Arnhem Highway, is the village the CSIRO built in 1959 to move its operations base from Beatrice Hill to continue its research on rice varieties, pest management, soil and hydrology. This research continued until 1973. Renamed Middle Point, the village originally had 12 houses and single people's accommodation. Transportable buildings were later added. Many of the houses and a community social club building have been removed. 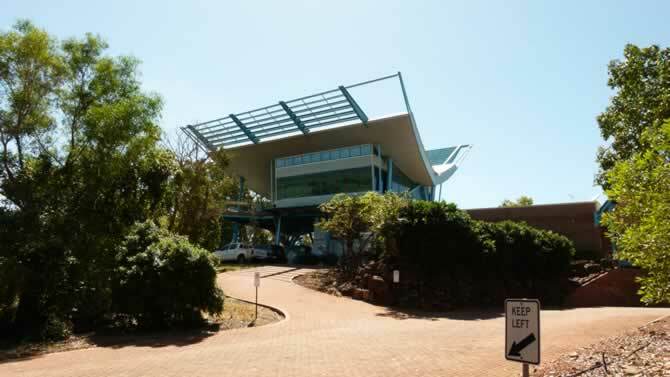 The University of Sydney has been conducting long term longitudinal studies in the area since 1985 and its Tropical Ecology Unit now occupies the village. With the arrival of pest cane toads (Bufo Marinus) in 1985, the Unit has studied the impact of toads on the environment and ways to minimize thier impact. Outside the village a Friends of Fogg Dam signboard provides information on Fogg Dam, its wildlife, the rice project, indigenous and current land use in the area. A small primary school at the end of the village is used by children from the local area and from the Corroboree and Marrakai areas, 40 km to the east. On the left past the school, Harrison Road, named after Squadron Leader Harrison, leads into Fogg Dam Conservation Reserve. Fogg Dam is the most visible remaining feature of the rice project and provides an outstanding wetland area for birdwatching and biologists. It's a shallow 120 hectare dam of 3,400 megalitres capacity built in 1956 by to provide water to the seedling rice crop. However, the floodplain was so wet the main channel to the rice fields, opposite the first platform on the wall, could not be built until 1962. 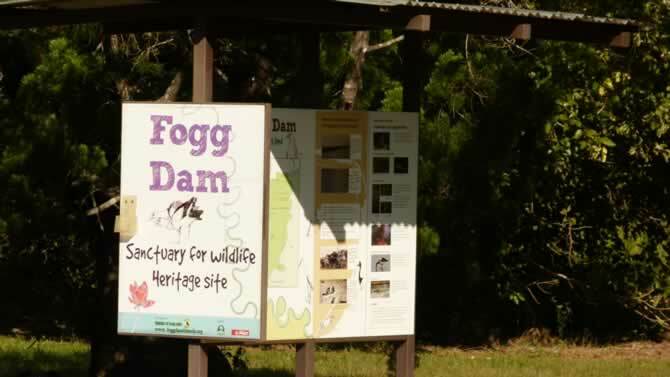 Fogg Dam was named after Mr James D Fogg, Managing Director of TRL's engineering design contractor, Utah Australia. TRL workers would water ski on the dam's open water - something not possible now with little open water and more than 10 crocodile inhabitants. Originally the dam had spillways at both ends of the wall but in most years the eastern end had to be breached to prevent water overflowing the wall and causing damage. In 1959 Fogg Dam was made a Bird Protection District and later became a Conservation Reserve. It is the only Top End wetland accessible throughout the year from Darwin. With a variety of habitats in a small area, Fogg Dam has become known internationally amongst birdwatchers and biologists. 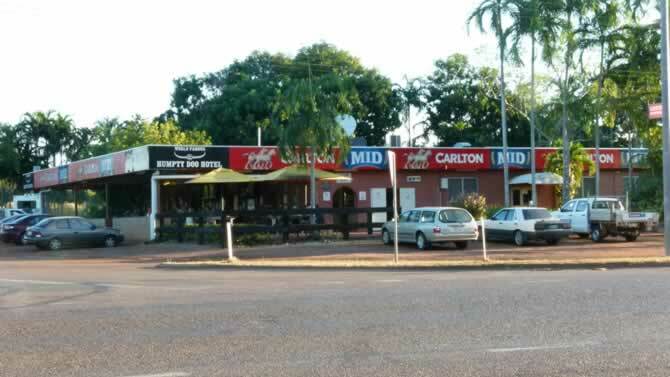 In 2009 it was Heritage listed. Early in the 1990s, three lookouts and two islands were built at Fogg Dam and the wall was modified to allow wet season water to overflow halfway along its length, creating a great place to view the water birds. Is a car park to take the Woodlands to Waterlilies and Monsoon Forest walks. The main water channel from the dam to the rice fields was built across the floodplain in 1962. Is the wet season overflow point in the dam wall. Today the Fogg Dam Conservation Reserve is jointly managed by the Aboriginal Traditional Owners and the NT Parks and Wildlife Service. As part of the Adelaide River floodplain it's an Australian "Important Bird Area" and contains numerous species of flora and fauna within its diverse habitats. Fogg Dam's floodplain is reputed to hold the world's greatest known predator biomass concentration: water pythons - the rainbow serpent of Aboriginal mythology - which feed almost exclusively on the native dusky rat. Yet nearby, to the west of the overflow channel the predator biomass is poor. A truly unique situation. 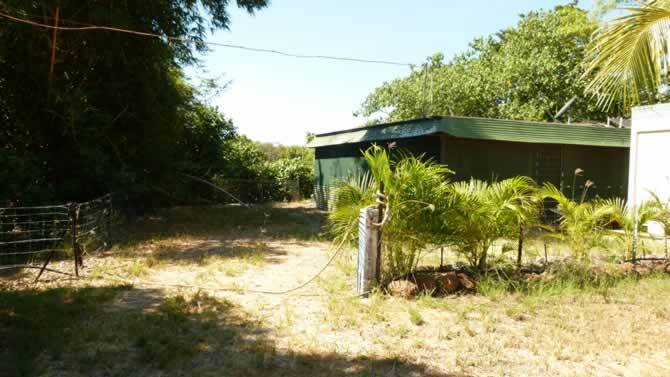 Kemp airstrip opposite No 830 Anzac Parade is now on private property. It had many uses including aerial surveys and crop management. 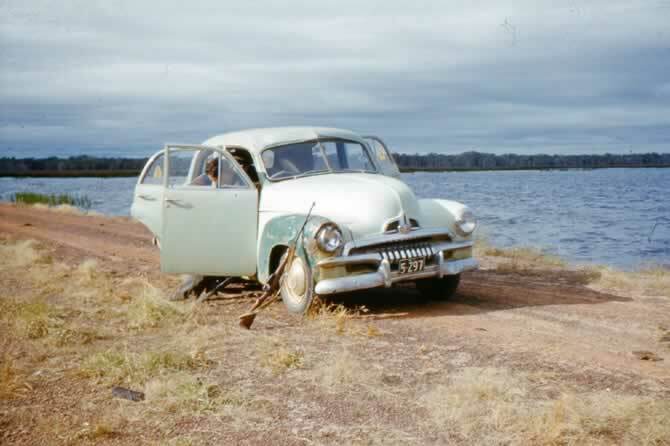 The American investors often flew to Kemp from Darwin rather than use the rough dirt roads of the 1950s. A bore beside the airstrip could provide over four million litres of water a day to the rice project. A small pond beside the bore was used as a swimming hole by CSIRO/Middle Point village residents until the mid-1990s. About 1990, a light aircraft of Arnhem Air Charter clipped the power line on Anzac Parade and crashed. No-one was seriously hurt and the airstrip was relocated to the Coastal Plains Research Farm. The original "Middle Point". During the rice project, the land at the northern end of Anzac Parade was known as Middle Point as it was the middle point of the rice project. The irrigation channel between Fogg Dam and the rice project's main pumping station on the Adelaide River can be seen there today. A culvert once crossed the channel to the experimental rice fields of the CSIRO. To the right, the dirt road leads through the former CSIRO rice fields on private land to both the Hunter Safari Adelaide River Experience jumping crocodile cruise and the Humpty Doo Barramundi fish farm. The Hunter Safari crocodile cruise (which operates dry season only) passes the ship mooring site at the barramundi farm. On Private Property beyond Anzac Parade - The barramundi farm property has the remains of culverts made from wartime 44 gallon/200 litre drums, small pumps, the main river water pump and the anchor blocks used to moor ships loading rice as well as paddy fields and contour and levee banks. The large pump is now heritage listed. The anchor blocks were made from material recovered from the World War 2 submarine net that stretched across the entrance to Darwin Harbour. Return to the Arnhem Highway and travel east towards the Adelaide River. Take the turnoff to the Windows on the Wetland Visitor Centre. Thomsen Road (now a private road) was originally an extension of Anzac Parade that led to Territory Rice's substantial construction and operations village and initial rice trial area. 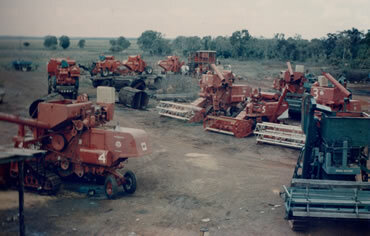 TRL's workers competed in Darwin's soccer and cricket competitions. A small number of the village buildings remain there. Many of the original buildings and assets were stolen before the Thomsen family acquired the property. The turnoff to Windows on the Wetland Visitor Centre at Beatrice Hill. In 1956 the government established an agricultural research station at Beatrice Hill to assist the rice project. 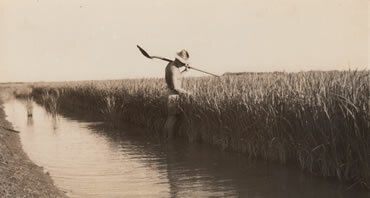 Experimental rice plantings commenced in 1957. From 1959 the research emphasis at the Beatrice Hill farm switched to livestock and tropical pasture when the CSIRO relocated to Anzac Parade. A memorial with some of the equipment used during the rice project. The road to the right up the hill leads to the visitor centre while the road ahead and to the left goes to the Spectacular Crocodile Cruise. The road from the rice project memorial to Spectacular Crocodile Cruise passes through some of the government's former rice paddies. Cattle, buffalo and birds can often be seen. 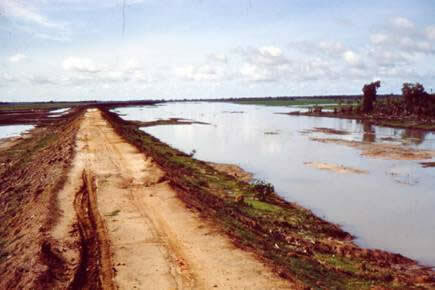 The road was a levee bank to keep river floodwaters from the rice paddies. The visitor car park is where the CSIRO had accommodation buildings for its research staff during the rice project. In the late 1980s the buildings were used by prison workers attempting to eradicate the thorny weed mimosa pigra from the Adelaide River flood plain. The buildings were demolished when the visitor centre was built. The Windows on the Wetlands Visitor Centre is a moderate walk from the car park. Disabled parking is provided at the Centre entrance. The Centre provides a range of information on the wetlands and provides expansive views of the Adelaide River floodplain. A pump had been situated at the site of the Spectacular Jumping Crocodile Cruise pictured, to irrigate the government's rice trials with river water. The Northern Territory Government through the Department of Natural Resources, Environment, the Arts and Sport is pleased to sponsor Friends of Fogg Dam. This publication may not represent the views of the Northern Territory Government.